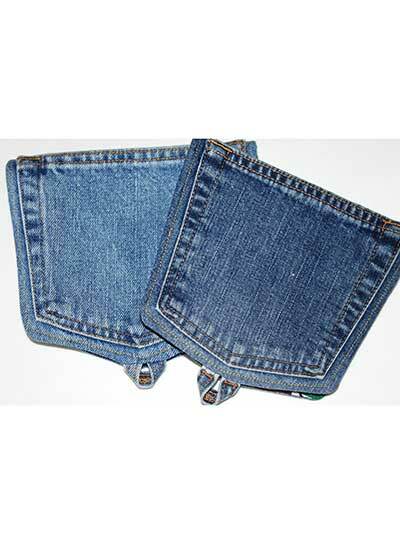 Ingenious pot holders from recycled jeans! These unique and truly inventive pot holder designs will make you the talk of the dinner party! 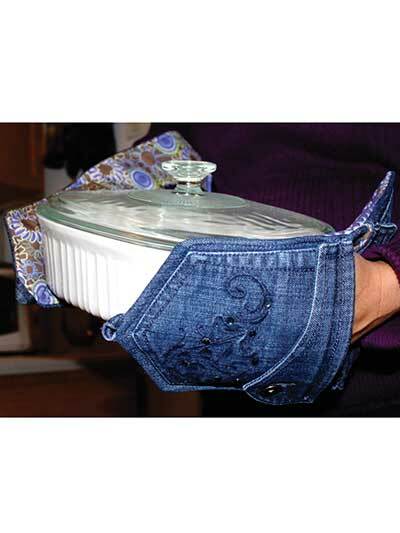 Using the pockets from an old pair of jeans, you can fashion some fun pot holders for your next get-together. 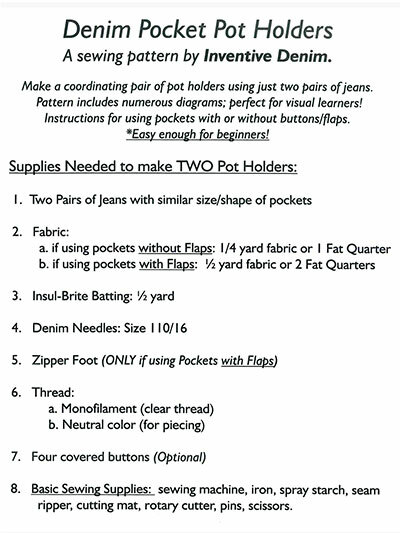 Pattern includes numerous diagrams, written instructions for cutting up old jeans, and options for using the pot holders with or without buttons and flaps. For the pot holders without flaps, use 1 fat quarter; for the pattern with flaps, use 2 fat quarters. I love it, I now remember why I saved my husband's old jeans.